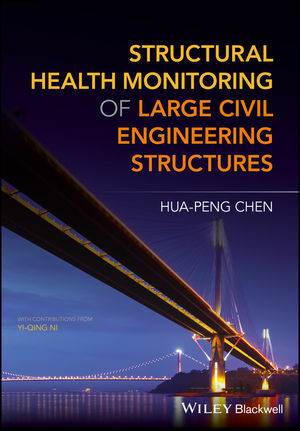 Structural Health Monitoring of Large Civil Engineering Structures is an ideal book for practicing civil engineers, academics and postgraduate students studying civil and structural engineering. Hua-Peng Chen is Professor of Civil Engineering, Head of Innovative and Smart Structures at the University of Greenwich, UK. He has been working for over 20 years on structural health monitoring, advanced numerical modelling and structural performance assessment. He is a Fellow of the Institution of Civil Engineers (UK) and a Chartered Civil Engineer (UK) with extensive experience in civil engineering practice.